No the panic wasn’t over the blog readers we met. More on them later! Thinks to myself….. This can’t be right. The smaller alternator should be producing at least 40 amps on its own. Engine gets switched off whilst wife finds glasses. Engine then gets turned back on. Relief…… Amazing how much difference a simple dot can make to your blood pressure. It took less than an hour for the Bulk stage on the domestic battery bank to finish. A significant difference to the previous charging regime. Obviously the big alternator has been slowly failing over the previous months and we hadn’t noticed it. Now for the blog reader part of the post. A boat came down the flight and moored behind us late yesterday afternoon. I was in a hurry to get to Cox’s Automotive and when the steerer stopped to introduce himself as a blog reader I didn’t spend as much time in conversation as I would have liked. Sorry about that reader! I’m also rather embarrassed about forgetting your name, particularly as you mentioned you’ve previously left blog comments. Just goes to show how fixated I was about the alternator. But the person in the family with the memory remembered and so I can mention Kees. 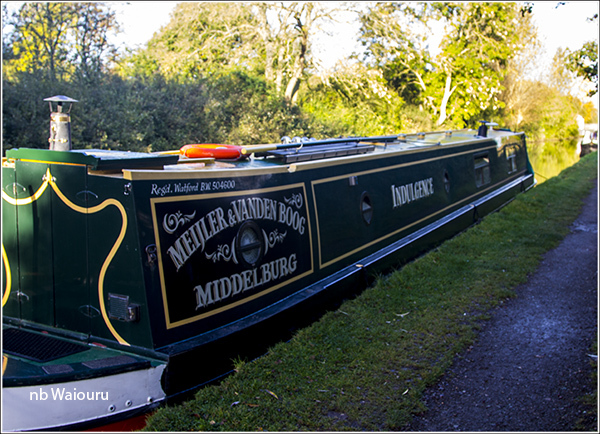 I did manage to take a photo of your boat before we slipped away this morning. We headed for the last five locks just before 9.00am with Jan walking ahead. A boat had gone up in the dark last night which meant they would all be against us. Well we’re not in a hurry! However when I reached the lock landing I was slightly peeved to see Mr Tupperware had decided it was a great place to leave your boat. At the third lock we met a boat coming down and a volunteer lock keeper. The first of two we saw assisting on the flight. Waiting above the fourth lock was a hire boat with a German family aboard. 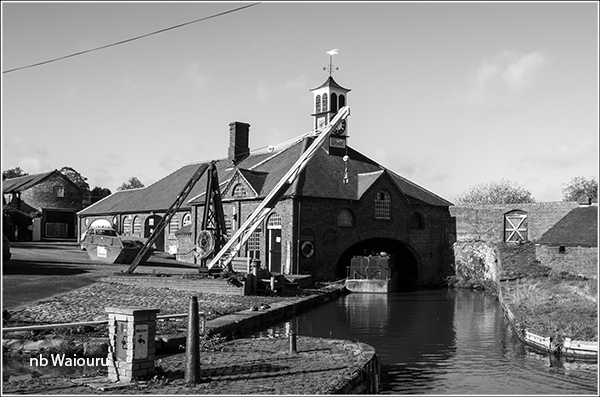 They were doing the Warwickshire ring and with thee healthy and active teenagers aboard making short work of the locks. 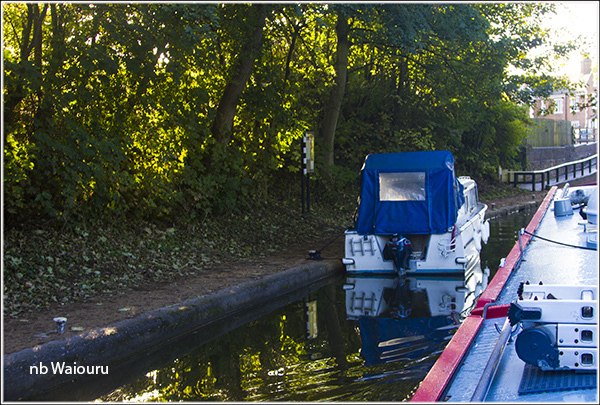 As we started to fill the top lock a boat appeared from the opposite direction. Good timing! The lady introduced herself to Jan as a blog reader and that they had also started a blog. Of course we asked for their blog details. <blog link here> Nice to meet you Sharon and Richard. We then crossed another boat we’ve seen before. NB Swamp Frogs. The last pump out was in York and whilst the tank hadn’t reached half full we decided to stop at Springwood Haven Marina to lighten the load. 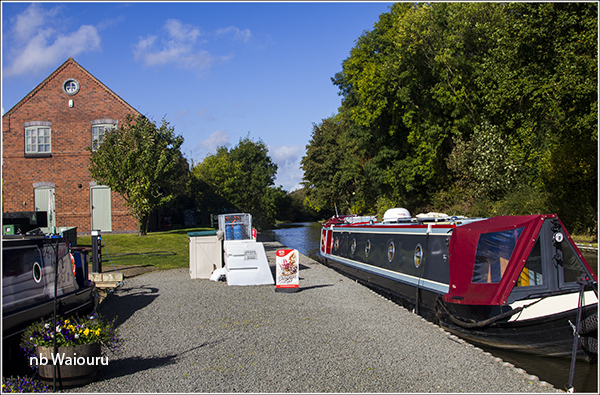 Jan also took the opportunity to buy the latest canal boat magazine and a map of the inland waterways. We must have bought a number of these maps but always given them to relatives so they can follow our journey. 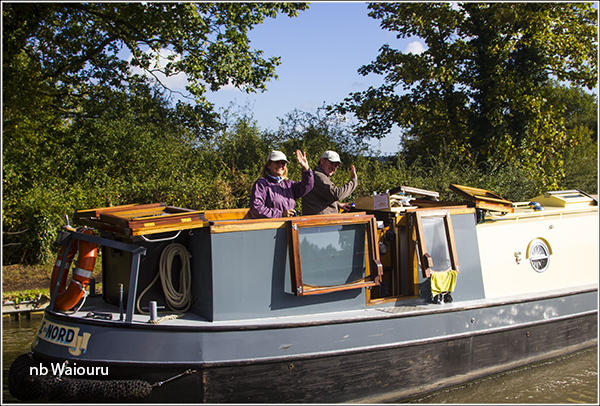 A very nice narrowbeam dutch barge passed whilst we were stopped and the couple called out they read the blog. Thank you Chris & Elaine. 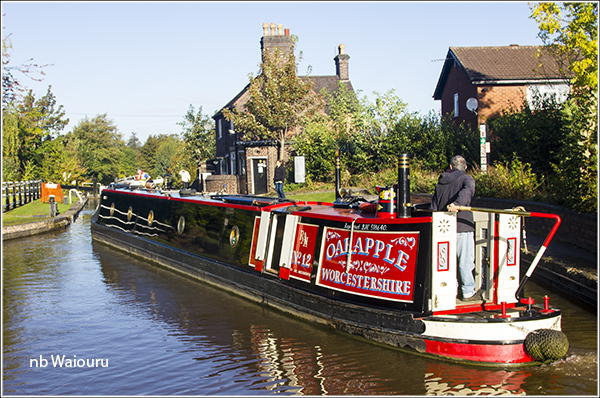 Despite having previously decided not to; we stopped and moored in Turdsville (AKA Nuneaton). We were both quite surprised to see the moorings empty. Last time we passed this way it was hard to get a vacant spot. However the dog faeces are still there! Jan put the washing out to dry whilst I did a few small tasks. 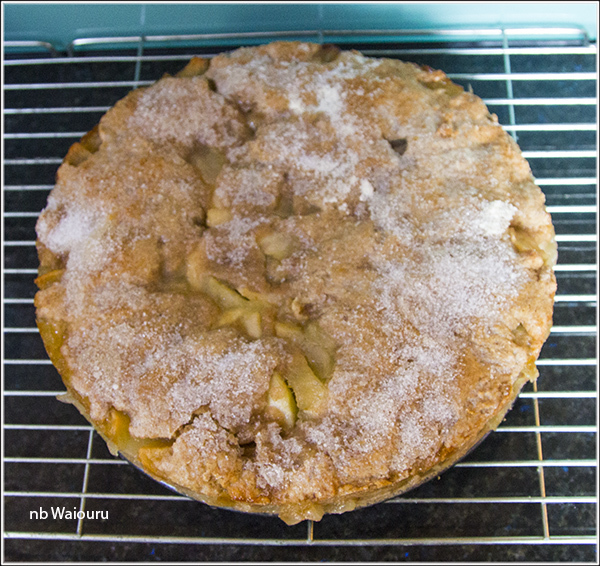 During the afternoon Jan baked a shortcrust apple slice and a pizza. We had just finished eating the pizza when Jan said “You know I’ve seen a number of groups of youths walking past the boat and it is Friday night! Do you think we should stay here tonight?” No we shouldn’t! So we packed everything away and moved out of Nuneaton stopping just short of Bridge 18. Hopefully there will be less chance of yobs with a skinful now passing us in the early hours. "Amazing how much difference a simple dot can make to your blood pressure"
You can't call Jan a "simple dot"
Even you would have to be extremely courageous to do that!